When you are training to walk a marathon, you need to build up your long-distance mileage slowly but consistently. Start by building up your base mileage to the point where you can walk eight miles comfortably, and are able to walk four miles on three other days per week. 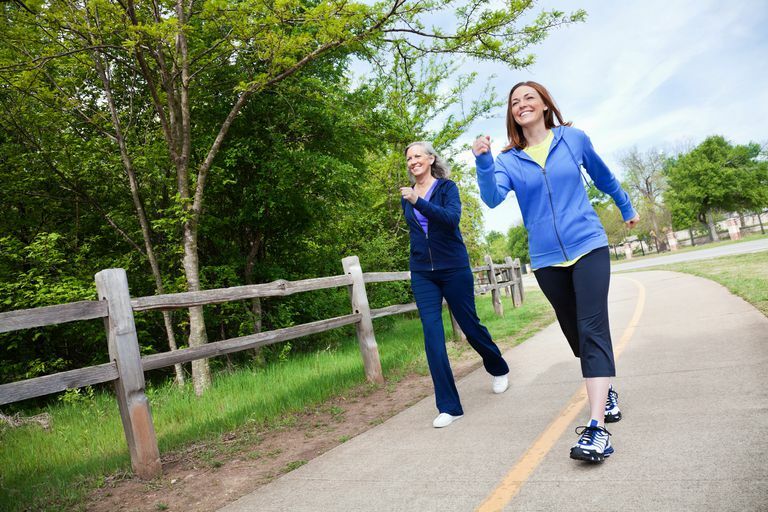 y increasing your longest-distance walk each week, you will build your endurance ability. You stimulate your body to build new blood supply to your muscles, and to build more lean muscle fiber. But you also need long distance to toughen your feet to prevent blisters, practice proper hydration and energy snacking during a long walk. Give all of your equipment and clothing a good workout in training so you know it will perform during the marathon. Able to walk comfortably for 8 miles on your long day and for 4 miles three days a week. Able to commit to one long day per week, spending from 2 - 6 hours of continuous walking. Tuesday, Thursday, Saturday: walk four miles. You can mix up the kind of walk you enjoy to build both speed and endurance on these walks. Monday, Wednesday, Friday: Days off. You can still enjoy a leisurely stroll or other exercises, but these aren't training days. You may vary the exact days of the week, but generally, you should take a day off between each walking day, or take just an easy health walk on the off day. For those who wish to use 5K or 10K events, such as volkssport walks or charity/fun walks in their schedule — replace the Saturday 4 miles with the 6 miles (10K) and either reduce the shorter midweek days to 3 miles or, if you tolerate it well, just enjoy the additional two miles. Do not do shorter mileage your longer day. Your longest training day should be three to four weeks before the marathon, then you begin to taper mileage. In the final week before your marathon, walk 2-4 miles every other day so you will be fully refreshed and energized before the marathon. 19 2-4 miles Off 2-4 Off 2-4 Off Off/26.2 Medal! Your long distance training will take you through at least a couple of seasons. You won't be able to avoid different weather conditions, including rain, hot weather, and cold weather.